The growth and care of water chestnuts allows this aquatic nut-like vegetable to be used as food either raw or cooked. Water chestnuts are a common food in Asian countries. There are two varieties of water chestnuts, but only one is edible. The Eleocharis dulcis water chestnut is edible. This variety is often called the Chinese water chestnut or simply referred to as water chestnut. Despite their name, water chestnuts are vegetables and not actually nuts. 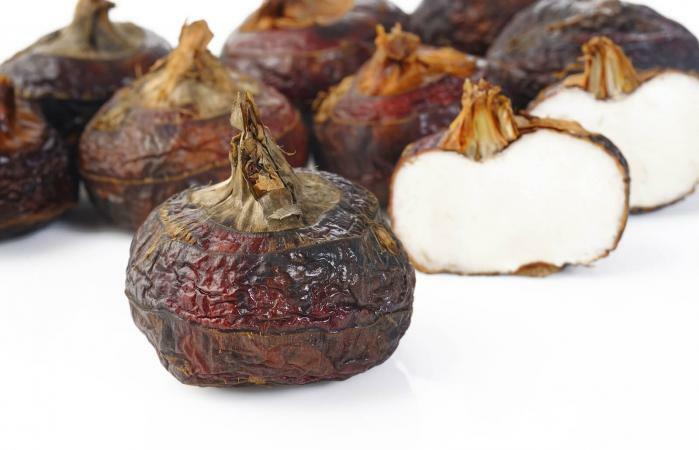 The Trapa natans L. water chestnut is not edible and often confused with the Chinese water chestnut. The Trapa natans water chestnut is listed as an invasive species by the US Department of Agriculture (USDA). This aquatic plant is a menace in the Great Lakes region and other bodies of water in northern states. Many people confuse the thorny Trapa natans water chestnuts with the type used in Asian and other cuisine, Eleocharis dulcis. The Trapa natans variety is a prolific and invasive water chestnut. This plant also contains very toxic compounds in the vegetable part of the plant. This makes it inedible. Eleocharis dulcis water chestnuts (Chinese water chestnut) are an ancient Chinese food source, often revered as a delicacy. 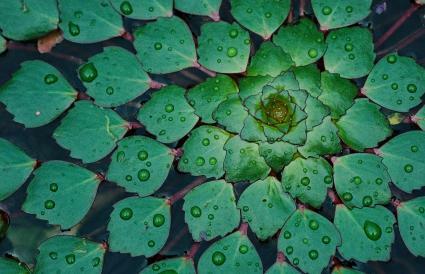 The plants are raised in ponds and are easy to grow. According to the Missouri Botanical Garden, this water chestnut variety is a rush-like perennial unlike the floating triangle leaf of the Trapa plan. 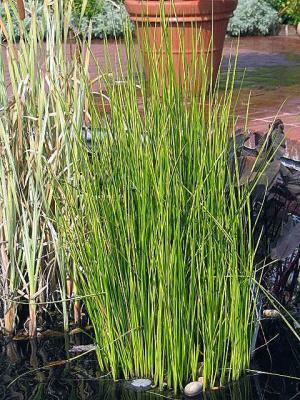 Eleocharis dulcis (E. dulcis) is a sedge plant, meaning it has grass-like tubular stems. The rushes grow about two to three feet high. This plant produces horizontal rhizomes. Round tubers, also called corms, form at the end of the rhizomes. The dark brown tubers are harvested. A densely packed clump of green stems grows from each tuber. The stems don't form branches, so they stand erect from the tubers. E. dulcis rarely produce flowers, especially in colder climates. When yellow-brown flowers form, they are cylindrical two-inch long spikes and grow on the tips of the grass shafts. If you want to grow your own water chestnuts, you'll be surprised how easy these delicious tubulars are to grow. You can have an abundant crop with very little maintenance and care. You will need a pond or some type of container that can hold water. Some growers use kiddie pools since these have the ideal depth and diameter. Others prefer tub containers. Place 6"-8" of potting mix or other gardening soil in the bottom of the container. Add a slow release 16-6-8 fertilizer to the soil. Wait one week before planting corms. Plant corms about 2" deep. Place a plate on top of soil and pour water onto the plate to prevent displacing planted corms. Cover with 3" -6" of water. The goal is to maintain a muddy consistency like a bog. Allow 3' x 3' per plant to accommodate height and width. Overcrowded plants won't produce much. Once plants are over 1' tall, use a fish emulsion or kelp/seaweed fertilizer every two weeks. Cover plant containers to overwinter. Once your crop of water chestnuts is ready to harvest, you can store them for use later. There are many ways you can use these delicious corms. You'll notice home-grown chestnuts are more flavorful than canned ones purchased. The first signal that harvest time is nearing is when the tops of the plants begin to turn brown. This is a signal to gradually begin reducing the amount of water to prevent the chestnuts from rotting before you can harvest them. As the browning moves down the stems, continue to reduce the water. Once the plant stems have died, it's time to harvest. You'll need to dig the plants up by hand to avoid damaging the corms. Many of the chestnuts may still be attached to the rooted stems. Remove carefully. Collect and wash the chestnuts to remove any debris and soil. You can peel washed chestnuts by blanching to loosen the skin or simply slice off the tops and bottoms. Using a vegetable peeler, you can finish removing the peel. Place in a colander and run water over the chestnuts to ensure all soil and peeling are removed. Allow them to drain before using. You can slice the water chestnuts to easy use. Other ways to prepare them include grating, dicing and even dehydrating/pulverizing for a thickening agent or flour. 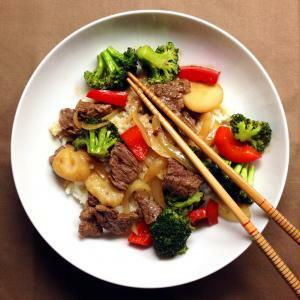 Add water chestnuts to stir-fried dishes, all types of salads, casseroles, rice, omelets, and almost any recipe needing a little crunch and taste. You can eat water chestnuts boiled, raw, grilled or fried. Water chestnuts are chocked full of antioxidants and vitamins/minerals, toss a few into your smoothie for a blended flavor. Some people enjoy pickled water chestnuts. You can blanch whole water chestnuts for two minutes and cool with ice water. Peel and drain, then vacuum seal in freezer bags and store in freezer up to 8 months. Once you understand E. dulcis is the variety of water chestnut you need to grow, you can enjoy this amazing vegetable. This versatile addition to your garden will provide you with many culinary choices.